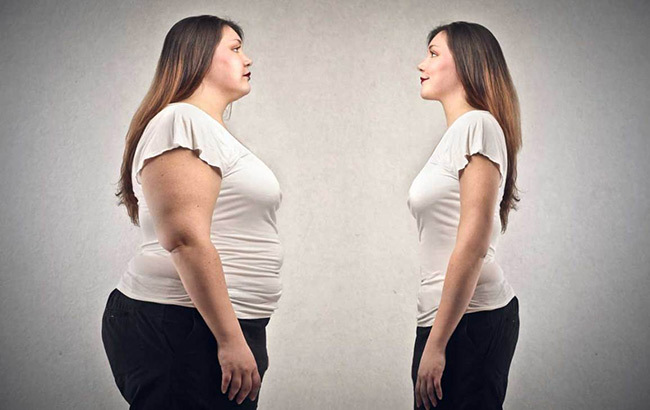 It’s not easy to lose weight- something most of us have experienced first-hand. I’ve been trying to find a weight loss plan that works for me, but I find I’m easily distracted and unmotivated to continue after about a week’s time. So, I decided to see if there were programs or tools out there to help make weight loss and calorie counting easier and more engaging. Turns out, there actually is. As I was researching, I came upon a website called AppGrooves that has a list of the best 10 weight loss apps on the market - I’ll link it below so you can check it out for yourself. Of course, I was a bit skeptical, but come to find out, it actually has some really solid weight loss apps available. I was immensely surprised with my results, so I thought to share them with you today. If you’re really serious about creating a new you and want to stay on track with your diet and exercise plan, then I’ve included three apps that will make a serious difference in your life. With these apps, you are able to count calories, track food, find healthy recipes, get personalized tips to make exercising and eating right less of a chore and more of a worthwhile experience! Weight Loss Tracker, BMI has a really simple interface, so (unlike many other weight loss apps out there) it’s actually easy to keep track of your progress as you lose weight. All you have to do is enter your weight and potential body mass index, or BMI, to find out whether you are at a healthy weight based on your height and other factors. Then, using the weight loss calculator, you can calculate your BMI and figure out how to lose weight based on the results. If you are an athlete or are looking to increase your muscle mass or maintain a certain weight, you can do both of those things with this app as well. If you're looking for an app that is challenging and difficult to use, you’re going to have to look elsewhere because Weight Loss Tracker, BMI is not it. I honestly can’t think of a bad thing to say about it. Its easy-to-use interface and the fact that it has so many actually helpful features is why I can’t recommend this app enough. If you’re someone who does well by setting goals, then I definitely think you should give MyFitnessPal a try. It allows you to create a personalized profile and specify whether you want to lose weight, maintain weight, or gain muscle. With that information in mind, you can then set goals and monitor your progress with colorful charts as well as receive feedback to help you improve your eating and exercise habits. In terms of keeping up with nutrition, there’s also a barcode scanner so you can record what you eat without having to go through the hassle of manually entering every food. I will say, if you are making a meal from family recipes or recipes that are not available online, you may not find it in MyFitnesPal’s food database. On the plus side, if this happens to be the case, all you have to do is enter the recipe into the app and the nutritional information will be calculated automatically, so it’s really no giant bother. Make Calorie Counting a Breeze with Lose It! No one has the time to count calories by hand. It’s a long process that, if you’re anything like me, you adamantly despise. What’s so nice about Lose It! is that it does all the calculations for you. Just like with MyFitnessPal, you set up a personalized profile and, from that profile, the app obtains a recommended daily calorie intake that will help you achieve your fitness goal. From there, you just input your meals into the food log to see if you are still within your calorie budget. It’s as simple as that - seriously. Lose It! does send daily reminders to log your meals, so if that’s not something you want, I would recommend you turn off the alerts in the notifications settings. On the other hand, at least in my experience, it’s easy to get busy or distracted and forget what you’ve eaten, so leaving the reminders on is actually quite helpful. Eating right and exercising are not the easiest things to do, especially if you’re busy, and sometimes the thought of shedding those extra pounds seems outright impossible. Trust me, I’ve been there. So when I found these three apps, I was truly blown away by how helpful and efficient they really were. These apps make it easy to keep a daily food log and get valuable insights that will aid you in your weight loss journey. I can’t recommend enough that you check these out if you or someone you love is struggling to lose those extra pounds.